The Asian American Student Association’s biggest event of the year, Lunar New Year, took place last Friday in the grandiosity of the Washington Room. Lunar New Year is the celebration of the new year as by the lunar calendar; Lunar New Year is celebrated all over East Asia and is mostly thought to be a Chinese celebration, even though various countries celebrate the event as well. 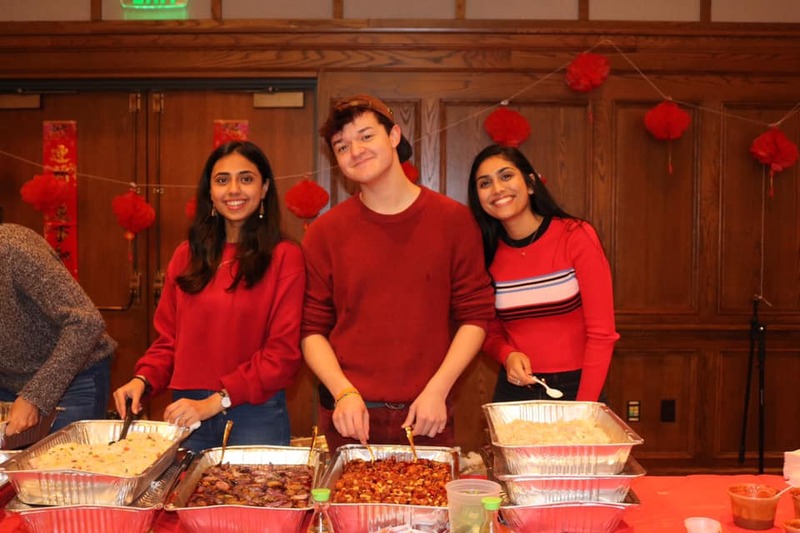 The celebration started the night before with dumpling night, where students and faculty were invited into the AASA home to make and cook handmade dumplings for the next day’s events, reminiscent of traditional Lunar New Year customs. 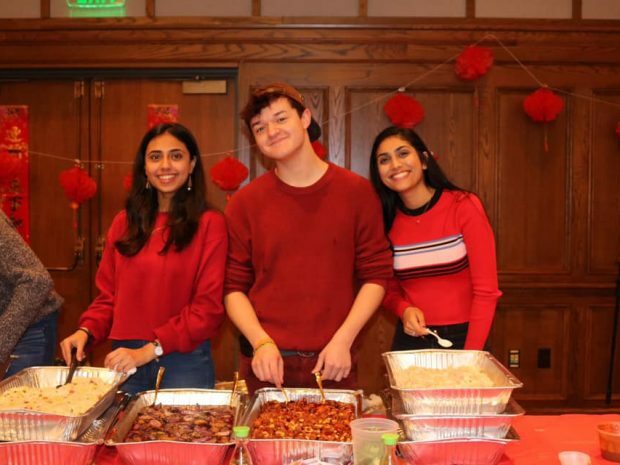 Dumpling night encouraged the international community to get involved with AASA to ensure Lunar New Year be as authentic and close to home as possible. The Washington Room was decorated from wall to wall with red lanterns, pig decals (since 2019 is considered the year of the pig), and lights, and attendees were given red packets on their way in; giving red packets on Lunar New Year is a tradition the older tend to pass on to the younger meaning older people give younger people red packets as a way of good fortune for the upcoming year. Even supplemented with a red-background photo station, AASA went all out in Lunar New Year décor, careful to keep in mind that red is a sign of good luck and good energy in East Asian culture. Presentations, given by members of AASA’s E-board, commenced the event with information on the different countries that celebrate Lunar New Year to give the audience an idea of how Lunar New Year isn’t just a Chinese event, but is celebrated by people all over East Asia such as South Korea and Vietnam. Copious food was provided to reflect the different regions and cultures that celebrate Lunar New Year; banh mis, a hard roll filled with marinated meat and pickled vegetables served with the attendee’s choice of either shrimp or tofu spring rolls and peanut sauce, was served as a representation of Vietnam’s traditional food while mapo tofu and handmade dumplings were served to represent China’s traditional Lunar New Year food. The event continued with dragon dances and women traditional dances performed by trained dancers followed by an authentic song performed by one of the dancers. Student Elizabeth Zheng ’22 even did a beautiful impromptu karaoke performance of an Ariana Grande song. Overall, AASA’s effort to put on an event of this importance across East Asia was valiant and appreciated by many for its consideration of countries that celebrate Lunar New Year. 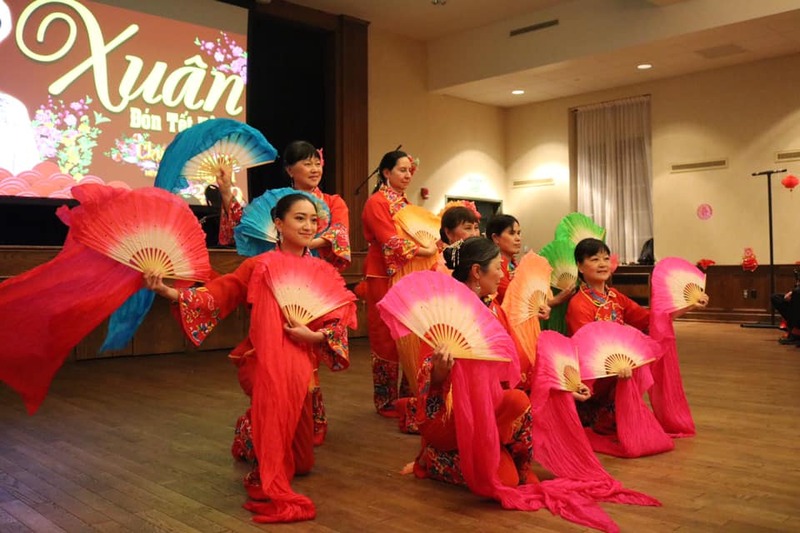 They created an environment out of genuine appreciation for the culture and history of Lunar New Year and it shows in their devotion to recruit resources such as authentic food, performers, and information.